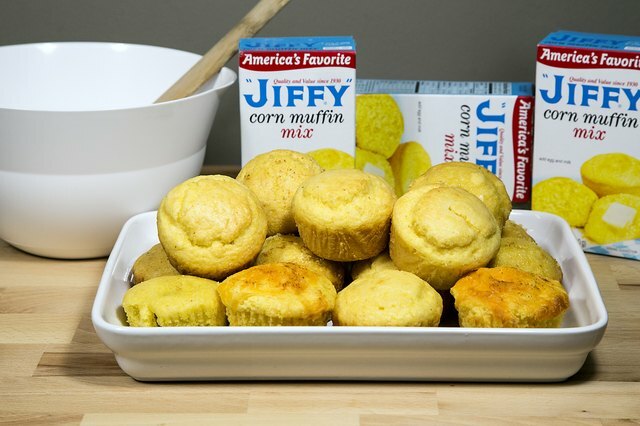 If you like corn muffins, Jiffy Corn Muffin Mix is an economical and convenient way to make the treat for pennies a serving. The recipe on the back of the box is fine as is, but you can kick it up a notch with ingredients you likely have on hand. 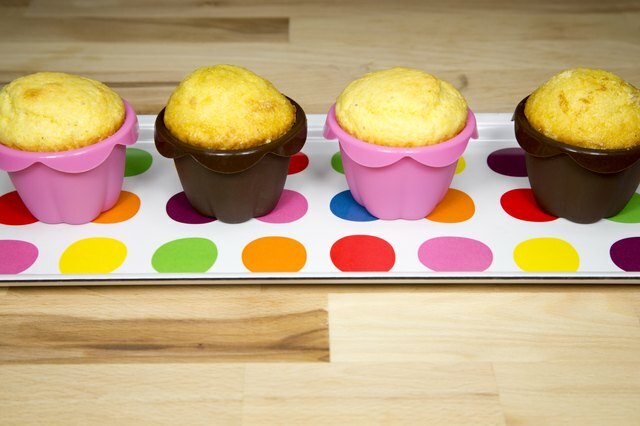 Use these mix-in ideas for a creative take on classic corn muffins! 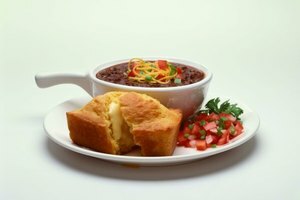 Spicy cornbread or muffins complement mildly seasoned foods, such as soup, salad or clam chowder. 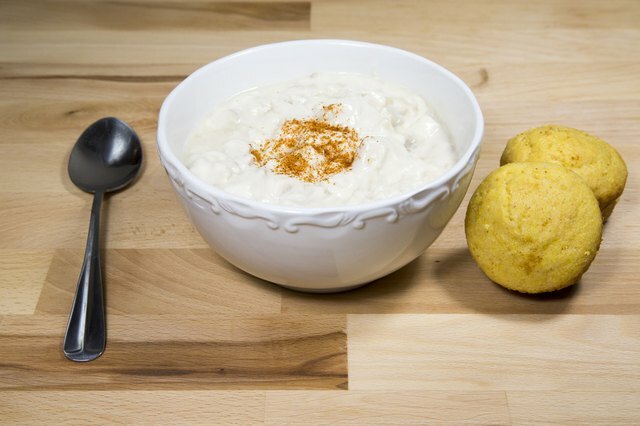 Add heat to your muffins by mixing in 2 tbsp. dried, canned jalapeños. Alternatively, add 1/4 tsp. cayenne pepper or 2-3 tbsp. 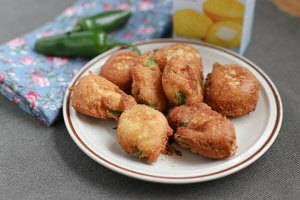 chili paste, chili oil or hot salsa to your batter. If you use a liquid ingredient for spice, reduce the amount of milk or water accordingly. 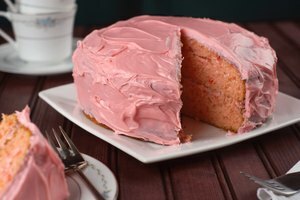 To take an edge off of the bitter spice, add a pinch of sugar. 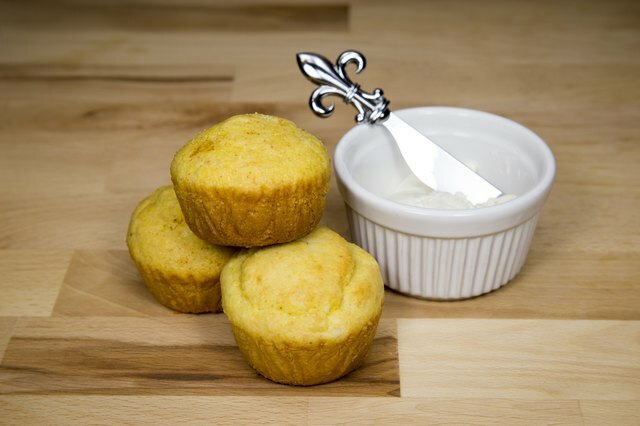 With natural corn taste and nearly 1 ½ teaspoons of sugar in every serving, Jiffy Corn Muffin Mix is already sweet. 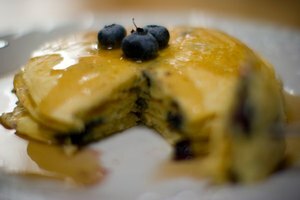 However, if you prefer a dessert-like cornbread, add additional sweeteners such as honey, agave or cane sugar. Brown sugar makes a heartier cornbread and adds a hint of molasses flavoring. Start with 1/3 cup of honey or agave or 1/2 cup of sugar and reduce other liquids used by half. Add frozen corn or a drained can of peaches or apricots to the batter. Watch the corn muffins carefully as they bake; the addition of sweet ingredients may affect browning. 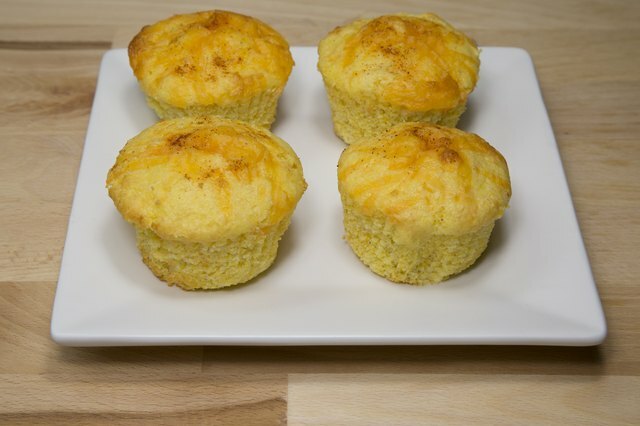 Make your cornbread muffins savory by adding up to 1 tbsp. of rosemary or up to two cloves of garlic. Add 3 oz. of onions or shallots, finely minced, to provide a savory contrast to the sweetness of corn. Combine one or more of these savory ingredients in any combination. 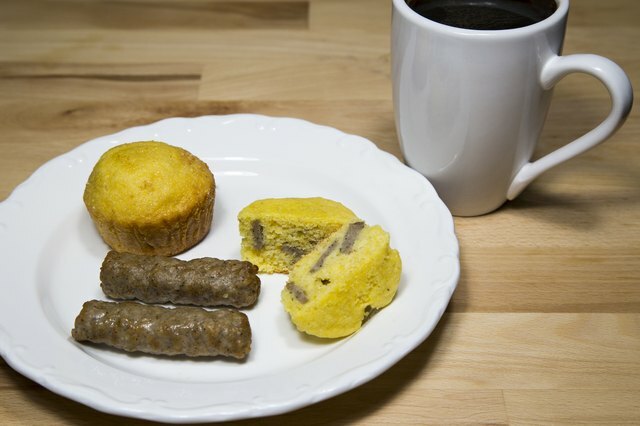 Cooked and diced sausage, ham or bacon and an additional egg are savory mix-ins to transform plain corn muffins into breakfast on-the-go. Mix in your favorite cheese. Strong cheeses like sharp cheddar, asiago and parmesan complement the sweet flavor of the mix. Stir 3/4 cup of grated cheese into the batter or sprinkle some on top for a more pronounced cheese taste. Add an additional egg to keep the corn muffins moist. Add a pinch of nutmeg, cayenne or coriander for a hint of spice. Cornbread is supposed to be crumbly. To keep it that way, avoid over-mixing. But, if you prefer a smoother texture, add in between 2 tablespoons and ¼ cup of mayonnaise, yogurt, cream cheese or sour cream, or add 1 tablespoon of oil.